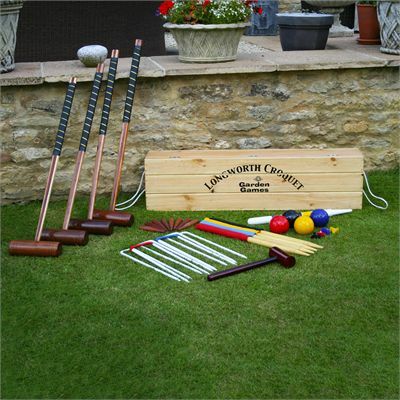 The Garden Games Longworth 4 player croquet set in a box is delivered in a firm pine wood presentation and storage container with nylon rope handles that makes it a perfect gift. The versatile set features 4 high quality regular sized, natural hardwood mallets with sturdy leather bound handles and oval spliced shafts. It also offers full sized 12oz (340g) wooden balls, steel hoops, hoop mallet, corner flags, yard markers, plastic clips, hardwood wining post as well as a rulebook. 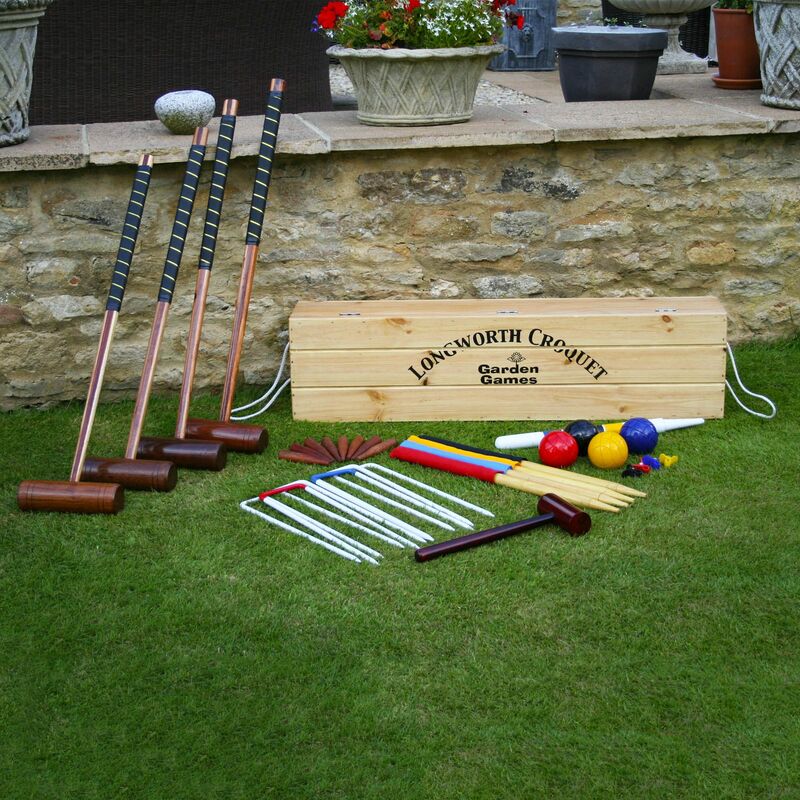 for submitting product information about Garden Games Longworth 4 Player Croquet Set in a Box We aim to answer all questions within 2-3 days. for submitting product information about Garden Games Longworth 4 Player Croquet Set in a Box. We aim to answer all questions within 2-3 days. If you provided your name and email address, we will email you as soon as the answer is published. 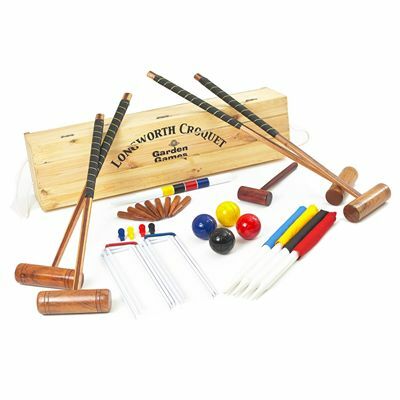 for submitting product review about Garden Games Longworth 4 Player Croquet Set in a Box.